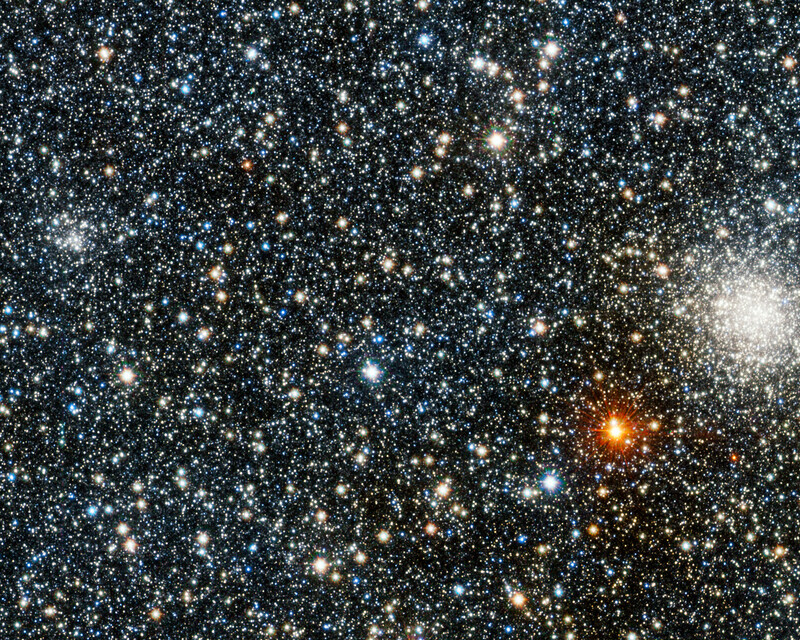 This image from VISTA is a tiny part of the VISTA Variables in the Via Lactea (VVV) survey that is systematically studying the central parts of the Milky Way in infrared light. 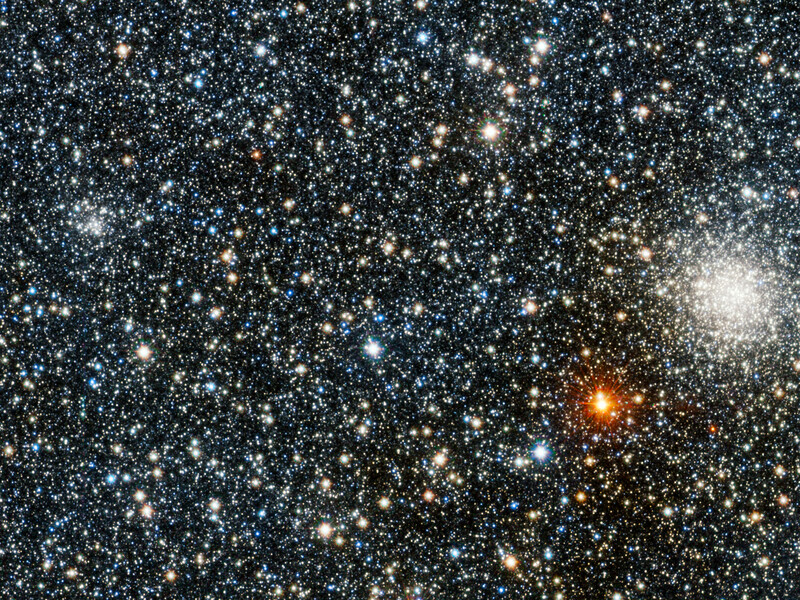 On the right lies the globular star cluster UKS 1 and on the left lies a much less conspicuous new discovery, VVV CL001 — a previously unknown globular, one of just 160 known globular clusters in the Milky Way at the time of writing. 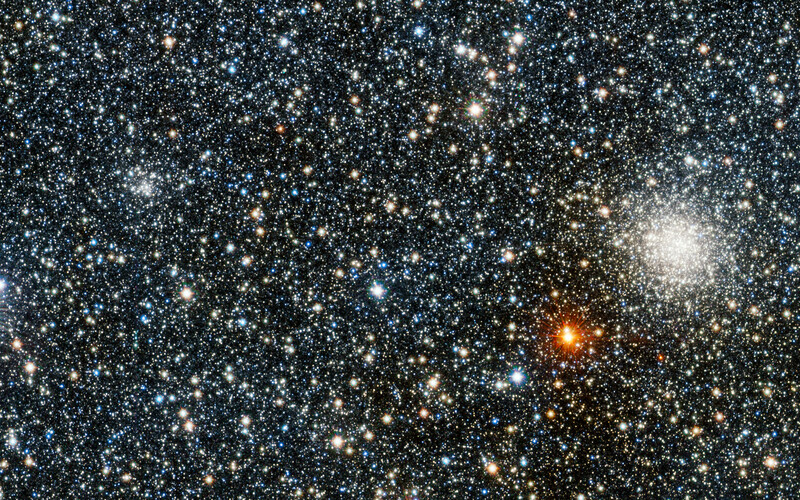 The new globular appears as a faint grouping of stars about 25% of the width of the image from the left edge, and about 60% of the way from bottom to top. Position (Dec): -24° 4' 51.34"